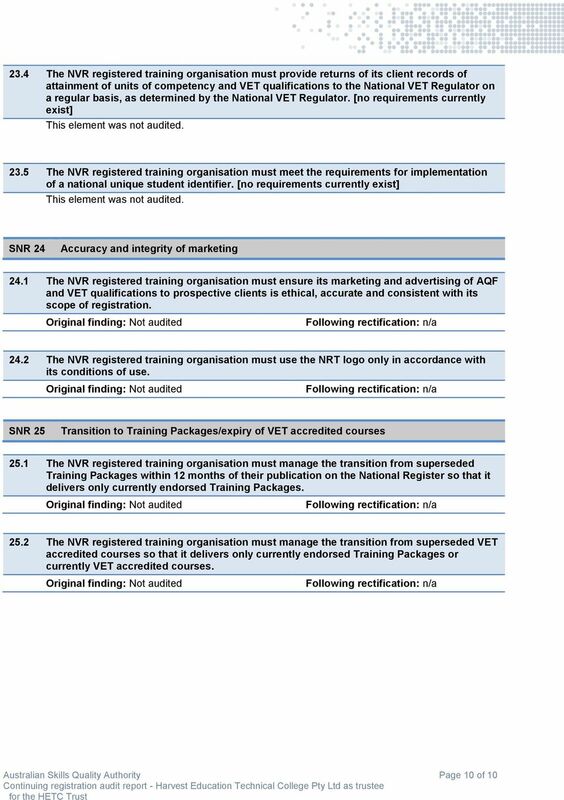 Download "Audit report VET Quality Framework Continuing registration as a national VET regulator (NVR) registered training organisation"
Thank you for your organisation s cooperation throughout this audit activity. 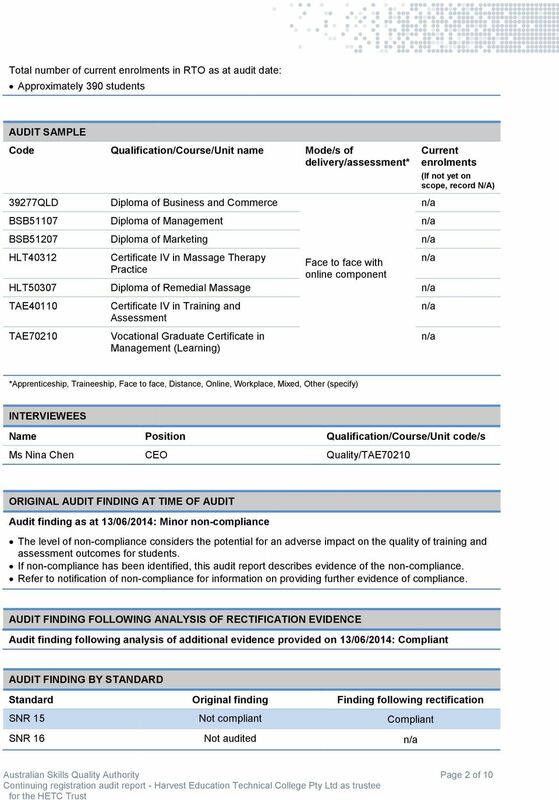 An invoice for this compliance audit will soon be issued. 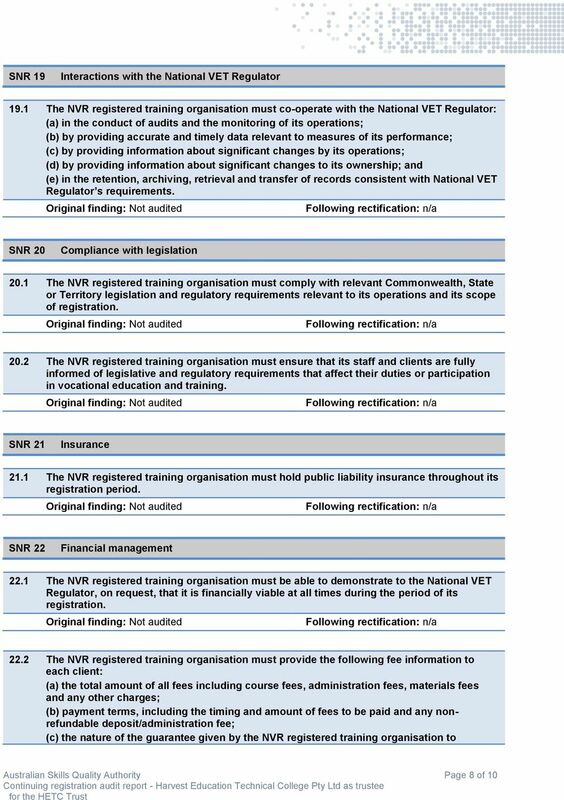 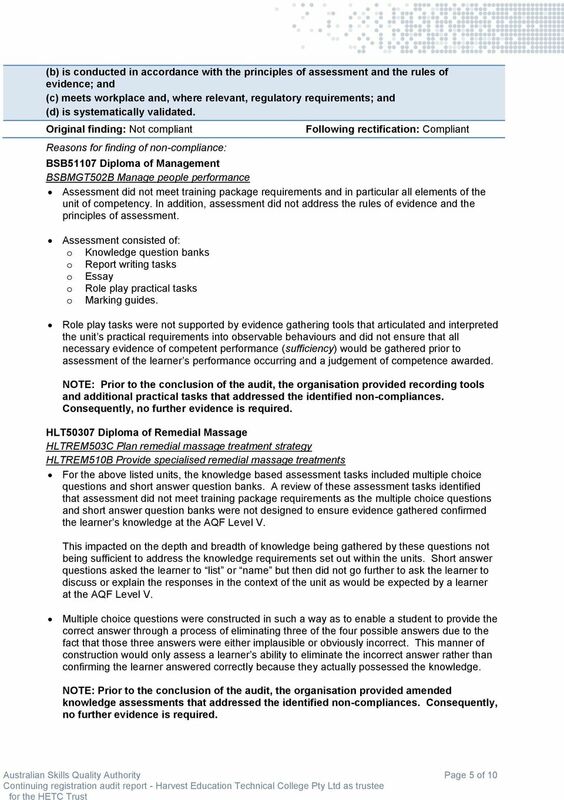 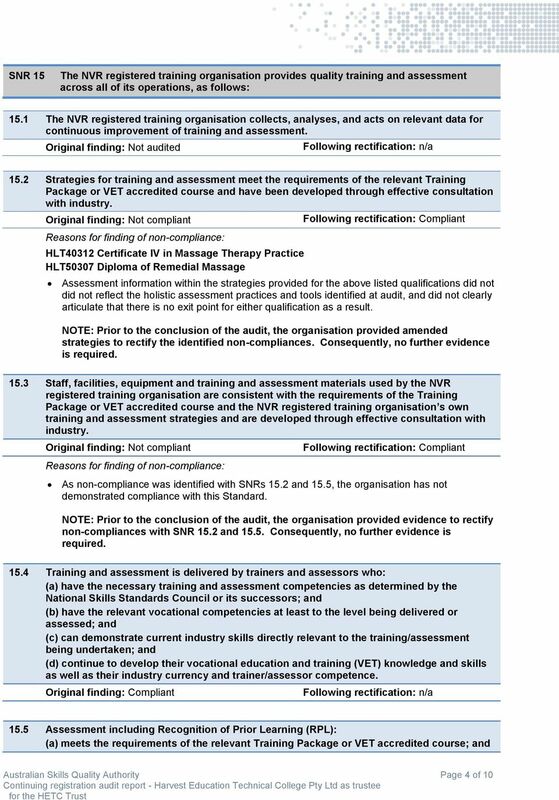 VET Quality Framework audit report Continuing registration as a national VET regulator (NVR) registered training organisation (RTO) Legal name of organisation Wentworth College Pty Ltd Application No. 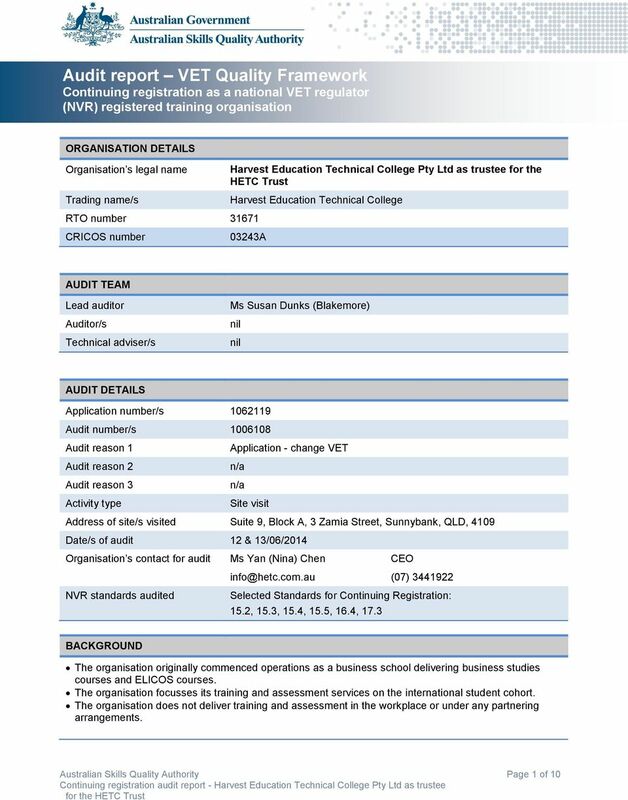 Compliance with the Standards is a condition for GTOs to be registered. 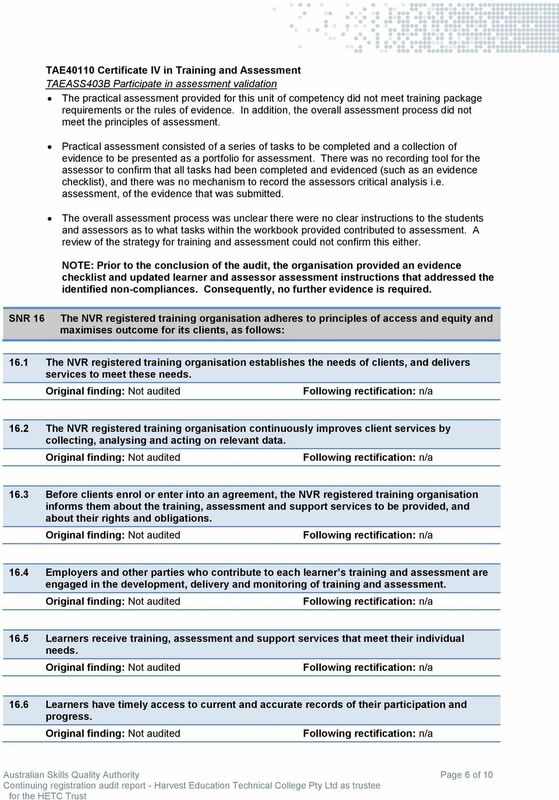 These Standards are the National Standards for Group Training Organisations. 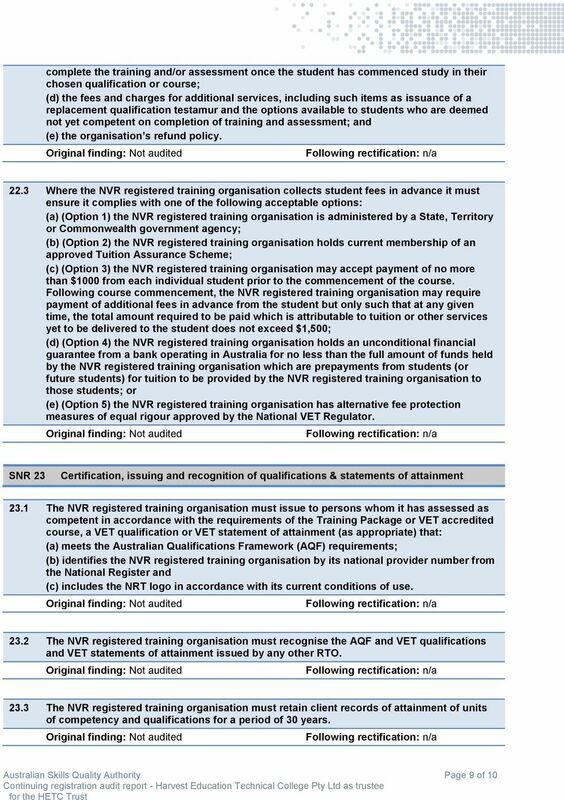 To ensure that results and awards issued to students comply with legislative and regulatory requirements. 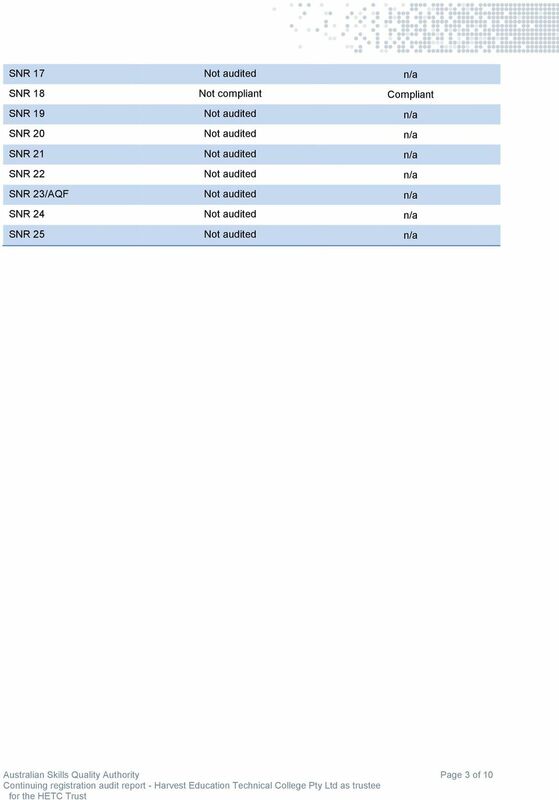 RTO Policy 9: Issuing Qualifications 2 RTO POLICY 9: ISSUING QUALIFICATIONS OWNERSHIP This policy is the responsibility of CPA Australia s Registered Training Organisation () working group ( Working Group). 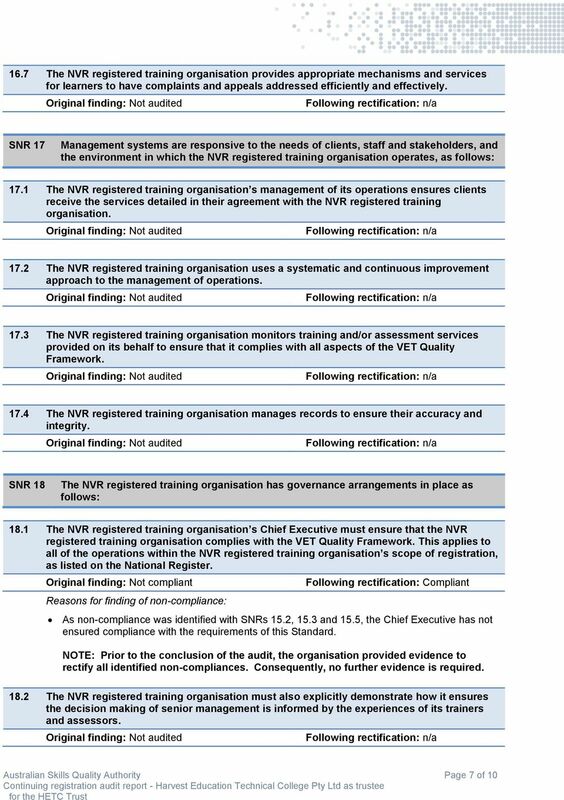 So you're thinking of becoming an RTO?